spagucci1 wrote: I can't speak for therivler1, but I assume most were bought with the intention to be flipped. I assume this is why I caught a firestorm of negativity when I told them these were bootlegs and not worth anything. Believe me, I would love for nothing more than to have received the standard colors and have this on my wall. Alas, that didn't happen. So, what do I do now? Send it back? Sell it at cost? LIke I said before, the true value of these are incredibly unknown. I really think that an auction is the best way to see what these are actually worth. If it only goes for 300, so be it. But, I think that everyone will be very interested to see where this ends up. I think P.Casso should have see tossed these things on eBay instead of the litter of people listing them now. What was my firestorm of negativty? Calling them bootlegs? I have no beef in this burger joint, but the sheer volume of your posts regarding said "bootleg-ness" in said thread may have elicted feelings of.... irritation in some people. As opposed to the notion of bootleg-ness itself, which had been raised by several others with less spirited response. Matt has yet to meet a print he didn't try and flip. Funny that some are claiming these to be official. When do you need 50 official test prints for a run of 3 in one color way? Wow Frib, can you speculate up any other possible scenarios? so it's ok for everyone to speculate only one scenario? a scenario in which shepard "ordered" 50 samples and then stuck peter with the bill? all i was doing was pointing out that maybe it wasn't shepard who went to peter, the scenario which seems to have been accepted by the majority so far as to what happened. bottom line is that NOBODY knows how these came about and to just assume shepard approached/ordered samples from Peter as a fact without the possibility of it being the other way around is completely asinine. I would do what works best for the job. don't fit into any Obey design scheme I've ever seen. he didn't get hired. I would be put off by those samples as well. So basically this dude made all these variations in hopes of Shep picking one? Then he would proceed to make 1 or 2 more for the edition? justin wrote: So basically this dude made all these variations in hopes of Shep picking one? Then he would proceed to make 1 or 2 more for the edition? I don't claim to know what the guy was thinking at all, but I can see it as a total possibility. And I would imagine he would have been going after the business of more than just this edition. Am I correct in saying that multiple HPMs, woods and metals are made for just about every print that Obey releases? Over the long run it could have paid off if he did the metals for them. And his style of work is his, not everyone may like it, but if he is making money at it, it is obvious that some do. Artists try to expand, or try new things all the time, so a collaboration attempt between the two I can totally see, even though it didn't work out. As far as who contacted whom first, only they will know. I spoke with him on the phone. He said this was early in their process and that they were just exploring all the different colors, things they could do and were just having fun with it. Remember, originally only 13 of these went up for sale, and when they oversold and everyone wanted more, he said they'd cone in all different colors and everyone had a chance to cancel or return. Also, if you called, they would tell you the colors you were getting. Surely wasn't a smooth drop, and shouldnt have sold without clearing it, but A lot of the conspiracy theory stuff doesn't make sense. Why would anyone print these, sign them, hold them for 4 years, then sell them below market value if it were a ploy for $$$? I not so secretly wish he never released these. This is like discussing politics, no one is going to ever be right. Honestly it would be nice to have some actual clarification from Obey on these pieces. There has been cryptic info, but nothing that says what exactly the deal is. We can speculate and guess all we want, and someone may hit the mark but we will never REALLY know unless we get word from the horses mouth. 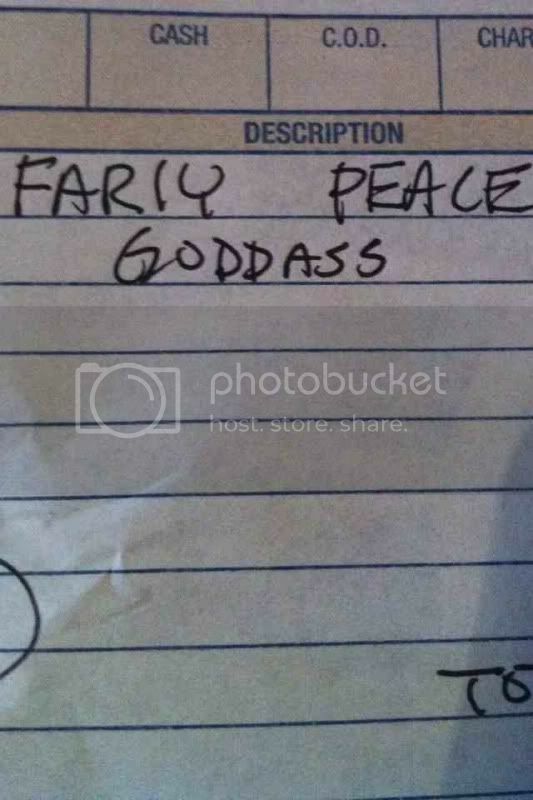 Post 63 has a hoot of a pic of the invoice P.Casso sent. Sorry, cannot post pics from phone. summoner wrote: Honestly it would be nice to have some actual clarification from Obey on these pieces. There has been cryptic info, but nothing that says what exactly the deal is. We can speculate and guess all we want, and someone may hit the mark but we will never REALLY know unless we get word from the horses mouth. whyhoo wrote: with info like that, we're never actually going to know what went on! i think the wild speculation on the internet is more fun anyways! what if - now hear me out - what if shepard's wife amanda went to peter looking for a birthday present for shepard? let's say some of his artwork done on a different medium. and then peter was like "sh!t do you think he'd like some of these crazy color combos?" and then amanda was like "yeah baby! that garbage is rad, let's see how many samples you can come up with!" and then peter was like "well here you go, i made some super crazy and some not, some glossy and some not" and then amanda was like "screw you dude! those are ugly!" and then peter was like "hmpf. okay. i'm just going to sulk for a while". and then 3-4 years later peter is like "wow i made these great birthday presents for shepard and they were rejected by his wife" and then one of shepards fans visited peter's studio and was like "hey you could sell those for MONEY" and then peter was like "well sh!t i could! why don't i just try and recoup my cost, no one is going to buy these anyways" and then his website was all like "BOOM!" and his phone was all like "RING!" and peter's existence just blew the fvck up. and then amanda called and apologized to peter for all the crazy people online jumping up his a$s because at the end of the day this is all amanda's fault for asking peter to make a birthday present for shepard. so then peter was all like "sh1t sh!t who the fvck is shooting us? launch our missles!" and then australia was like "WTF". but they'll be dead soon. fvcking kangaroos. Good one. But, what if it was Vivi saying she wants an anniversary present for her parents. She told Peter she liked the PG image and brought her Crayloa box and said she likes all the colors in the box and wondered if he could use them ALL. Peter says "Sure thing". Then 3 years down the road, Peter realizes Vivi was just a baby and it was all a dream. Now, he has 60+ pieces and doesn't have the room to store them all. whyhoo wrote: let's keep it going!